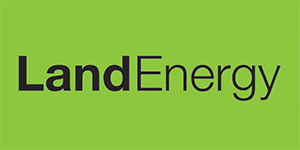 Land Energy is one of the UK’s leading suppliers of wood pellets, delivering to a broad cross section of commercial users including, leisure, industrial and agricultural businesses throughout the UK. We also supply to domestic customers via our Woodlets brand. Using feedstock sourced from sustainably managed forests and sawmill co-products, we manufacture our premium grade, ultra-low carbon wood pellets in our modern, purpose-built production plant located in Girvan, Scotland. All of our pellets comply fully with the sustainability requirements of the Renewable Heating Incentive (RHI) and we can be found on the Biomass Suppliers’ List (BSL), meaning your RHI payments are safe. Our wood pellets are certified ENplusA1, the highest grade possible. This ensures that the pellets which are delivered have the maximum energy content, deliver optimum burning efficiency and have the minimum ash content possible, all of which contribute to the lowest possible running costs. We were one of the first manufacturers in the UK to have made a strategic investment in a combined heat and power plant that runs on biomass and powers the entire factory. This enables us to have stable, predictable energy costs; a benefit we can pass on to our customers in the form of long-term, fixed pricing. For a bulk blown wood pellet quote, simply fill in the short form below. Woodlets are our leading brand of super premium grade wood pellets which are both BSL registered and fully RHI compliant. Land Energy pellets are a well-established, high quality brand synonymous with UK production.